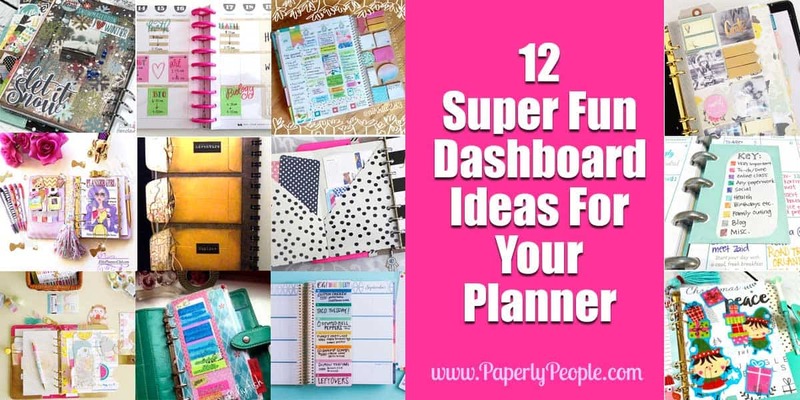 I have been thinking about a couple of dashboard ideas for my diy planner and OF course, I wanted to see what all the other creative peeps were doing. Seriously, I could absolutely have my planner crawling with dashboards, but I wanted to get a feel for what works best and looks the cutest from around the interwebs. Along the way I found some GREAT dashboard ideas and a few that wouldn’t work for me but which I thought you might like to see. You know I love me some color coding my planner but sometimes it is easy to forget what all the colors are supposed to represent! This is so cute for a number of reasons. First off, I often forget that something that works perfectly can be super easy to make. Simply In Control just took a piece of card stock with a paper stuck on it and made this handy dandy legend for her different colors. So simple and brilliant with the added benefit that if she changes her colors it is not going to be a super big deal to do a new one! 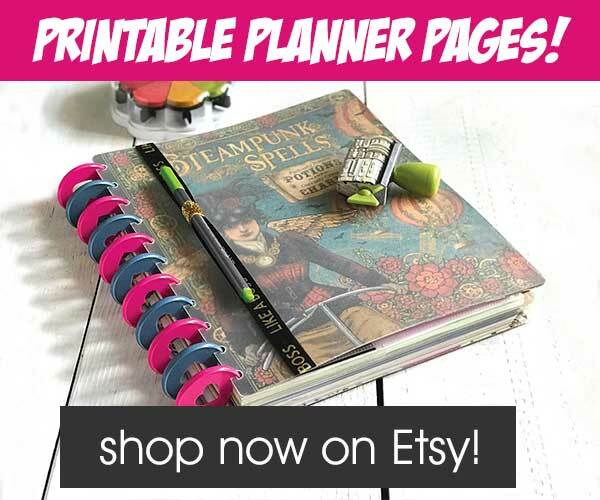 Erin Condren really is a master at making something functional super pretty and easy to use. 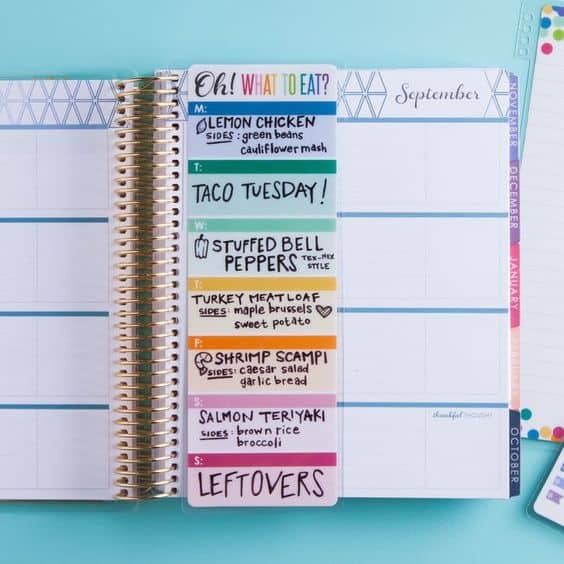 While I don’t need a meal planner (my hubs cooks every night), I definitely could see using something cute like this for things I have to do on a weekly basis. 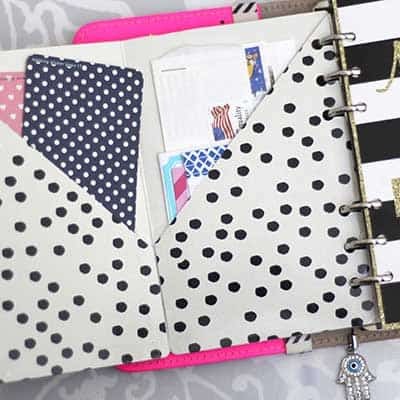 PLUS I love the fact that it is just a little flippy in between the pages and that I could absolutely use that AND be able to see my weekly schedule easily. This one is really intriguing. DIY Fish uses layers of clear dashboards to make an interesting collection that is beautiful and functional. I don’t know why I never thought about having multiple layers for my planner dashboard! This is sort of brilliant and I am going to have to think about it a bit and figure out how to use this concept. DIY is using sticky note flags for her todo list and then using the bottom one as a write on, wipe off board. Okay, this may be my all time favorite dashboard idea! I love having places to tuck and store things that I might need for later AND the front of it could be an actual dashboard where you keep some stickers or postits. Having used a smaller sized journal in the past (I use a full sized ARC notebook now), I know how kerfuffly it is to try and save regular sized papers in a little planner. This is a really good solution to that problem! One thing that I think makes a really neat, functional part of a planner dashboard is envelopes. 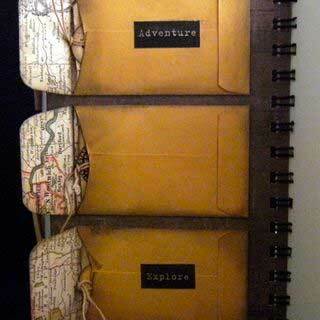 These envelopes are used in the front of this journal for storing bits from this bloggers travels. 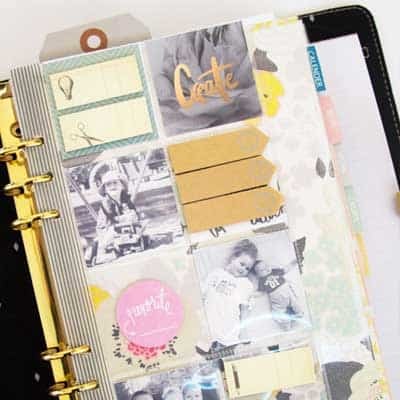 That said, you could absolutely make a dashboard that would have a great set of envelopes to keep stickers, postits or anything else that would be handy to have around day to day as you are using your planner. 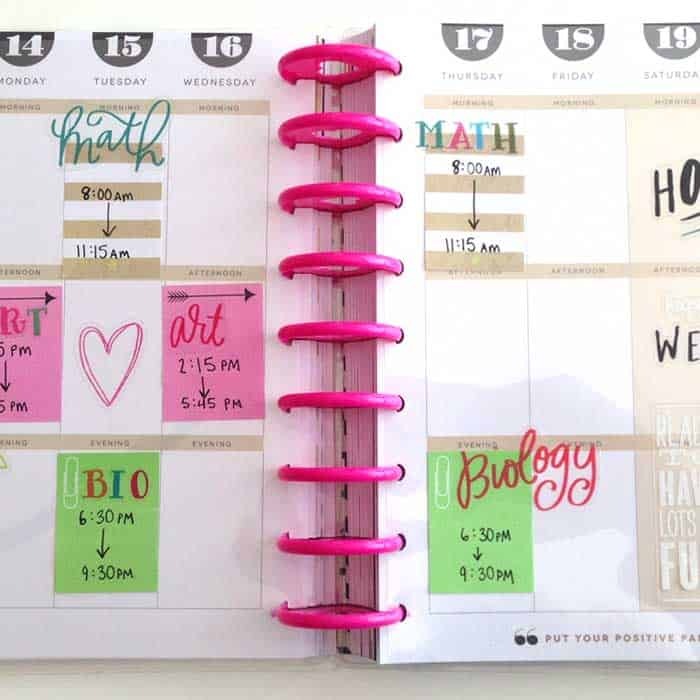 Okay I am not altogether convinced that this is a planner dashboard per se, but I was blown away by this gal’s photography and her marketing chops. 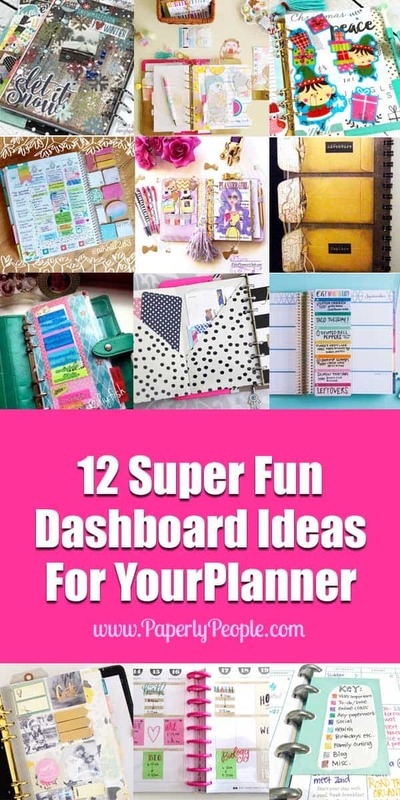 When searching for planner dashboards on Pinterest her super cute gal comes up a LOT for different searches and you know that I love me some great marketing chops! This is really more of a divider than a dashboard but snaps to Elite Planners Club for doing a great job. Since I use my planner/notebook for work, I rarely think about doing pretty or just for fun, but this one tickled my fancy. 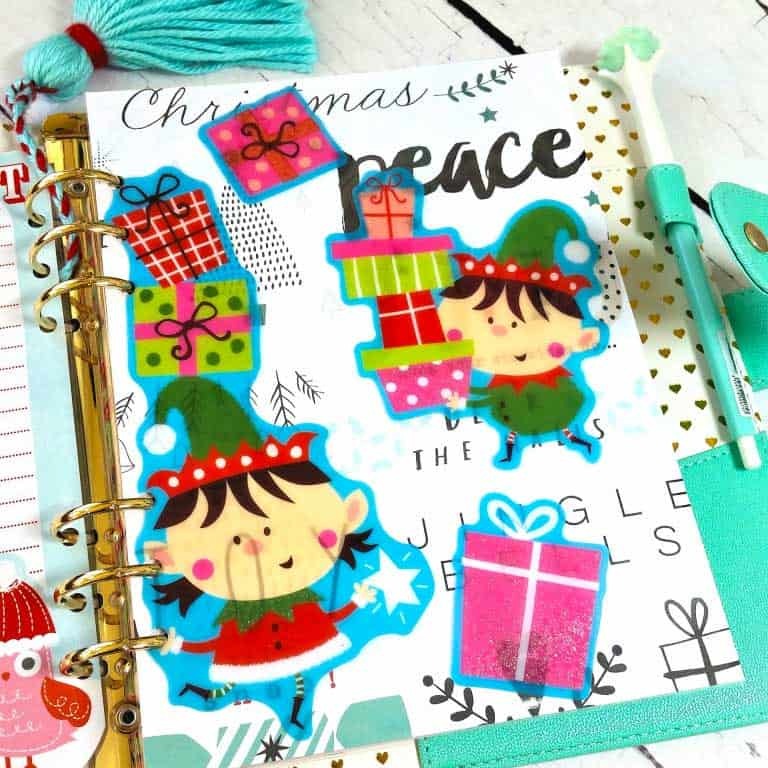 LittleLamm combined both practical planner flags and stickies with pictures of her little ones and inspirational ideas. It definitely turned out super cut and I love how personal it is. She seemed to use some kind of tool to fuse the different parts of the plastic sleeve. Most of the dashboards I have seen cover the full width of the page and serve as a divider and dashboard. 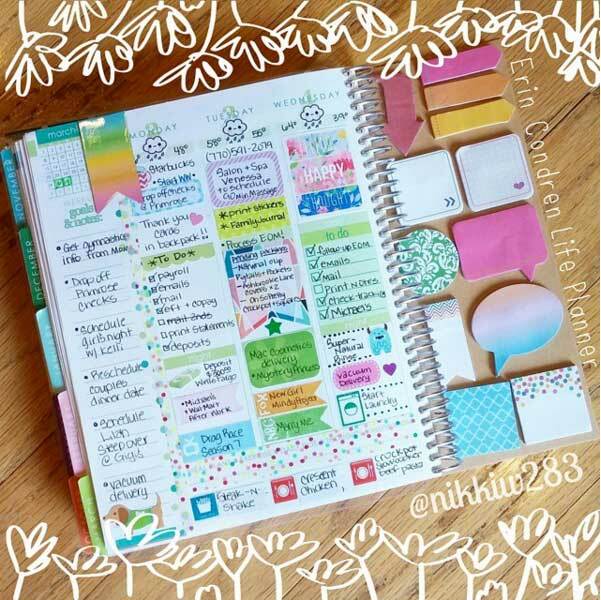 The fun thing about this one is that it really is just a way for Nikki W to keep all of her stickers and postit notes handy to use while she is planning. 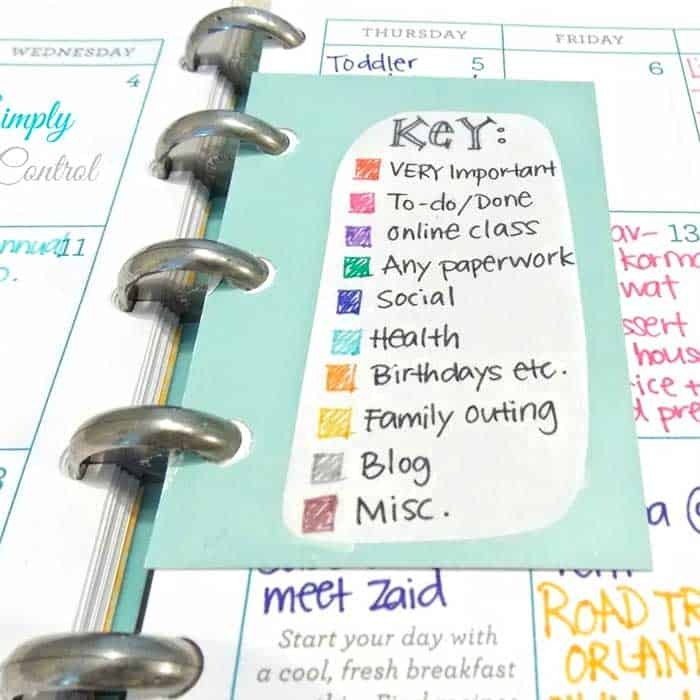 I love how it would not really cover up all of her planner pages if she were to keep it on the actual weekly spread that she was using there. This one is super cute and mostly just for fun! For this one, Art & Whimsey shows how to make a clear dashboard using stickers and thermal laminating sheets. 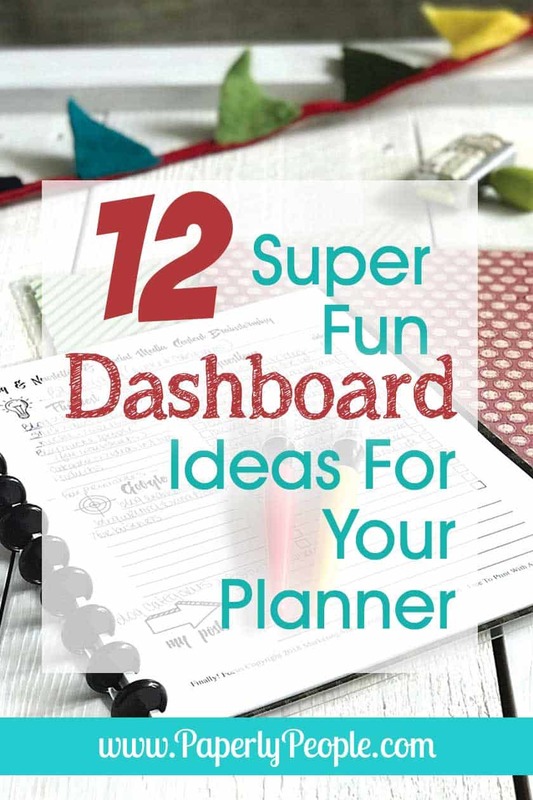 While not the most functional of dashboards, it would certainly add charm and brightness to any holiday or occasion (like a wedding planner or baby planner!) I could totally see this doubling as a fun way to know what page your were on. As you can tell I didn’t really want to repeat the same kinds of dividers but we have a late and amazing addition. 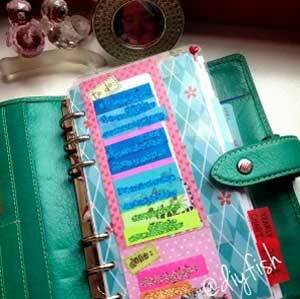 The Happy Planner suggests doing an overlay of your classes in clear plastic so that you can see blocked out time. Now, I haven’t been a student in a while, but this would be great for planning on picking up the kids or if I had standing times for networking or client work. I really was blown away by the possibilities for this one! Sometimes your planner dashboard doesn’t have to “do” anything but remind you of good time (ahead or behind). 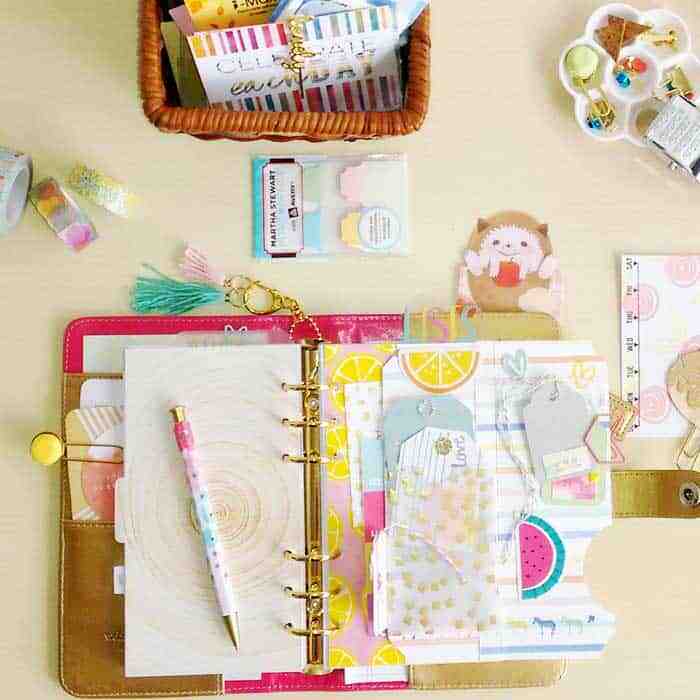 This cute and fun dashboard is from Simple Stories and shows that you can have a beautiful and attractive planner divider. 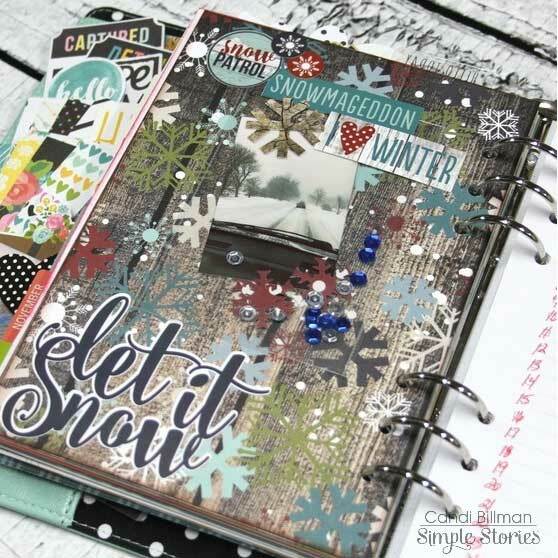 This gal used scrapbook paper, a personal photo and stickers to create a really neat remembrance of a time she had in a snowstorm. She is using this as a dashboard/divider in her planner. Last but not least I wanted to share a class I found about making planner dashboards. 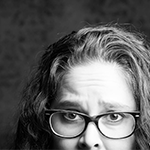 It is just so cool to me that if you are not super creative or handy, this gal is here to help get you started! Well this has been super fun to do! 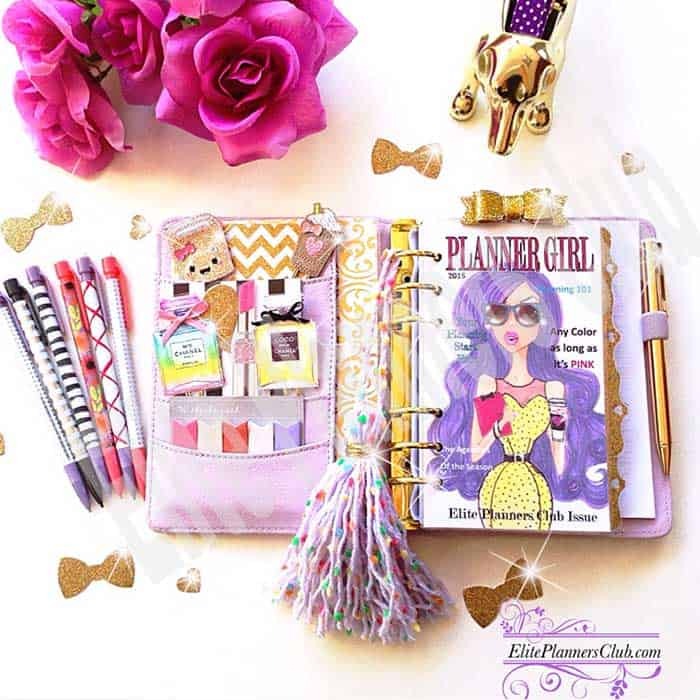 I love checking out all of the creative ideas that people have for their DIY planners and how to organize them and make them more functional.